Can I know the odds when playing casino slots online? Anyone who has got interested in playing slot machine games is sure to have wondered whether it is possible to find an easy way to know the odds of a particular game. That way, you can head straight for the slots with best odds in order to increase your chance of winning. Below is a complete guide to casino slots and their odds – and, crucially, how to find the best online slots in terms of the odds that they offer. The ‘odds’ can be defined as the chance that you have of winning a given game. So, if you have a one in 64 chance of winning at a slot machine game, then these will be the odds every time that you play. Theoretically, this means that if you play the game 64 times, you can expect to win once. Of course, it does not always work out exactly like this – all casino slots have a randomised element to them that means that in 64 games you could win five times or zero times, or any number of times between zero and 64. Think of tossing a coin in order to illuminate this idea of the odds of casino slots. There are two equally probable options here: the coin could land on heads or it could land on tails. Theoretically, then, if we toss the coin 10 times it should land on heads 5 times and tails 5 times. In practice, we know this is not the case: we could get 6 heads and 4 tails, 10 heads and no tails, or 3 heads and 7 tails. One important thing to know is that the odds of online slot machine games are usually fixed in the microchip that the casino uses. As such, the casino cannot change the odds without purchasing a new microchip. Almost always, the odds will be set up so that over time, the casino wins more money from players than players win from the casino – this, too, is important to remember. Many casinos will simply tell you what the odds are on particular games, thus making your life incredibly easy. They will often do this if they have games that offer particularly good odds as this can really draw customers in to the casino. Work out how many potential outcomes there are in the slot machine game that you are playing. 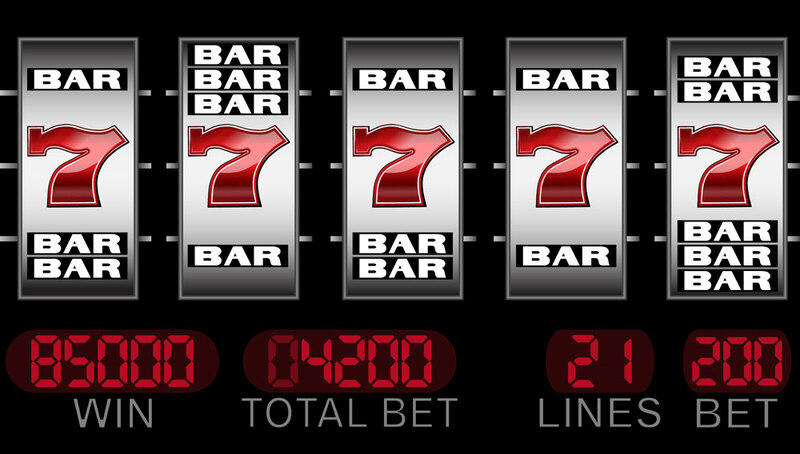 Perhaps there are 120 particular combinations of symbols in a classic pub style slot game, and 5 of those combinations will provide you with a payout. So, if you get any one of those 5 winning combinations, you will win something. Here, the odds of winning are 5/120. If maths is not your forte, you can do a manual experiment. Play the game for a certain number of times (say, 20) and work out how many times you win and how many times you lose. This will give you an idea of the odds. If you play 50 times and win 5 times, you have odds of 5/50 or 1 in 10 of winning, which are pretty good. Be aware, though, that this is a very rough method and, of course, it will get more and more accurate the more that you play the game – which can be addictive, not to mention expensive. It always helps to have at least a rough idea of the odds of a game, so that you can home in on the best online slots in terms of odds.